Welcome to the new IAMS-GW website. 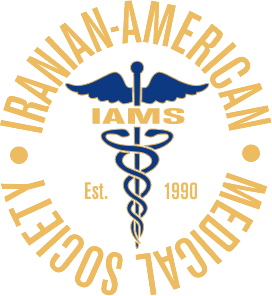 We are comprised of Iranian-American physicians of various specialties, joined by the desire to create a supportive environment conducive to networking, learning, and embracing our cultural values. To advance the knowledge and experience of its members and provide a forum for learning, exchange and dissemination of information and ideas. To foster community education and improve public awareness. To coordinate, sponsor or direct continuing medical education, or health related activities, and develop relationships with other medical and cultural societies locally, nationally and internationally. To promote and encourage activities of social and cultural interest to the physicians of Iranian origin and/or the Iranian community. The goal is that these efforts serve to reinforce the bond between members and create an atmosphere that encourages a commitment among members to offer support for, and to participate in the life of the Society. Become an IAMS member by following this link below.